John Gatluak Manguet (1984-2016) loved working as a journalist and was dedicated to serving his community. John was killed in the late afternoon of July 11, 2016. 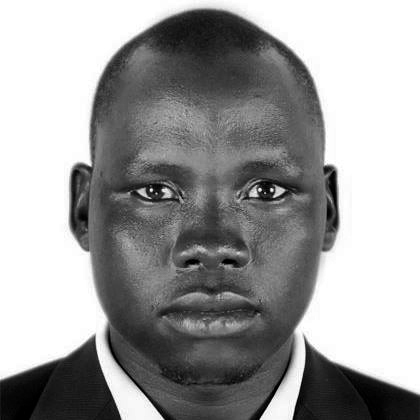 John was 32 years old when he was killed in South Sudan’s capital Juba. “He was a heroic reporter and a leader, widely loved and embraced in his community,” said Nigel Ballard, Internews Director of Community Radio. I met John in 2012, when he was working as a reporter for a community radio station, 88.8 Naath FM, in Bentiu. At the time, I was working as a freelancer for The Niles and Voice of America. John and I would walk up to 10 or 12 kilometres in any direction to cover news in the oil rich town. He was a heroic reporter and a leader, widely loved and embraced in his community. John loved working as a journalist and was very determined to work towards a better society. He saw his role as that of a watchdog, to inform citizens about what politicians were doing and serving his community through radio. In mid-June 2016, John and I went to Kampala, Uganda for our final exams, where we had both been studying journalism at Cavendish University. Afterwards, John and I, plus some other colleagues embarked on a 10-hour-drive from Kampala to Juba on July 2. We had been in Juba for five days, when fighting broke out between the SPLA and SPLA-IO. There were several deaths and the violence escalated at the presidential palace on Friday, July 8. John was caught up that day by fighting while riding on a bus. He was stopped at customs. He called me and asked me where I was and I told him I was still at work. In those few minutes on the phone, I couldn’t realise that John was in detention by militants, where his phone and the little bit of cash he had were soon confiscated. John survived that evening and was picked up by colleagues on Saturday morning, and later taken to Terrain Hotel, which they assumed was a safer location. He was executed by soldiers that night. It wasn’t until Tuesday that a friend working with him rang me to tell me that John was dead. I was speechless. The only sound from my end came from the drops of my tears that fell on my knees. I believe John had a great vision for South Sudan, which could be seen through his exemplary leadership and passion through his work. John is survived by his wife Rebecca Chuol Ngundeng Teny, three children and the baby born the day after his death.